It’s been more than a month since Dr. William Zoghbi found out about a nomination that by most measures is an opportunity of a lifetime. And the countdown to the real thing has begun. On Monday, July 9, dressed in white, Dr. Zoghbi will relay the Olympic torch through a historic English town called Bicester. The 56-year-old grew up in Lebanon. He said if it weren’t for the war, he probably wouldn’t have come to the United States in the late 1970s. “My life would have been quite different,” he said during a phone interview. In the cheering crowd there will be his wife, his brother coming from Beirut, his friends from England and from ACC. He gets to keep the torch after his 300-meter run (roughly 0.2 miles), and he said he’s planning to display it at the Heart House, the ACC headquarters in Washington, D.C.
Dr. Zoghbi is the first from ACC to carry the Olympic torch. He is one of 22 selected by the Coca Cola Company because of his personal and professional dedication to promoting healthy lifestyles and for empowering civic engagement in communities, according to ACC. He will be representing ACC and the organization’s patient education portal, CardioSmart. The 70-day Olympic Torch Relay leads to the Olympics Opening Ceremony on July 27. Lit in Greece, the Torch is carried by 8,000 selected participants who run through 1,000 towns and cities in the United Kingdom. You can watch him live on July 9 here. See who else is running on July 9, and learn other fun facts about the Olympic Torch Relay. Multimodality imaging is among the highlights of this year’s American Society of Echocardiography meeting, which starts on June 30 at the National Harbor, Maryland. The society is pushing forward the concept, looking at different diseases and integrating different kinds of imaging such as echo plus nuclear, Cardiac CT, or Cardiac MR, in order to get the best diagnoses, said Dr. Melissa Wood, co-director of Massachusetts General Hospital Heart Center Women’s Heart Health Program, Boston, and the chair of ASE Public Relations Committee. Echocardiography is the second most commonly ordered test after EKG, according to Dr. Wood, and with the aging population, the use of the test is likely to increase. “I see echo take off more because of this concern about heart failure being an epidemic. Echo as a way to diagnose heart failure before it becomes profound,” she said. And given the appropriate use criteria, “we’re tying to moderate the reasons echos are ordered, so they’ll continue to be fairly reimbursed by third parties and CMS (Centers for Medicare and Medicaid Services),” said Dr. Wood. You can find the meeting’s program here. And be sure to check our coverage on ecardiologynews.com. Located between the left atrium and the left ventricle of the heart, the left atrioventricular valve was long ago named the “mitral” valve because it is shaped like a mitre, the tall pointed hat worn by all Roman Catholic bishops, including the Pope. 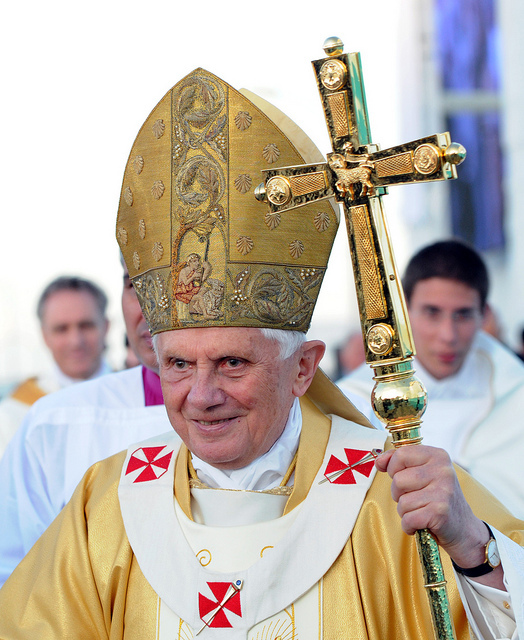 When a pope dies, the College of Cardinals meets in a papal conclave to select a new pope. The word “conclave” is Latin for “with a key,” so named because the electors are supposed to be locked in seclusion and not allowed to leave until a new pope is chosen. With a nod to that history, “conclave” was the name given to the American Association for Thoracic Surgery’s first-ever meeting devoted entirely to surgery of the mitral valve. The 2011 Mitral Conclave drew more than 1,000 attendees from 66 countries to New York last week. Just as a papal conclave involves the most senior members of the church leadership, attendees at the mitral conclave included the world’s leading experts in mitral valve surgery. But unlike a papal conclave, in which participants are required to come to a single decision, mitral conclave speakers exhibited a wide array of opinions, approaches, and surgical techniques for repairing the valve. Since the 1983 publication of a landmark article by Dr. Alain F. Carpentier titled “Cardiac Valve Surgery: The French Correction,” repair rather than replacement of the mitral valve has been the gold standard. But repair is far more complicated, program director Dr. David H. Adams told me. Current valvular heart disease guidelines from the American College of Cardiology /American Heart Association, and the European Society of Cardiology are based largely on expert opinion rather than evidence from clinical trials. Going forward, studies will need to focus on specific mitral valve etiologic and lesion subgroups, he said. Yes, this week, Global Medical News Network staff are bringing you the very latest news live from the Annual Scientific Sessions of the American College of Cardiology. At the meeting, investigators reported that yoga can help reduce arrhythmia episodes in patients with atrial fibrillation, and improve their anxiety and depression. The study authors caution, however, that yoga is not a treatment for atrial fibrillation. Our own video star Naseem S. Miller talked with the study’s lead author Dr. Dhanunjaya Lakkireddy, who is an associate professor of medicine at University of Kansas Hospital, Kansas City. You can read her story at Internal Medicine News, where you can find all of our coverage of ACC. New medical guidelines often mean more to worry about, not less, but sometimes the opposite is true. New guidelines released on December 20 by the American College of Cardiology Foundation, the American Heart Association, and the Heart Rhythm Society allow doctors and patients to be more lenient about heart rate control in atrial fibrillation patients. According to a press release issued jointly by the three organizations, approximately 2 million Americans live with atrial fibrillation. The previous recommendations called for keeping patients’ heart rates below 80 beats per minute at rest and less than 110 beats per minute during a 6-minute walk. The updated guidelines are based on recent evidence showing that strict control doesn’t appear to benefit patients. Therefore, the new guidelines advise patients with persistent atrial fibrillation and stable functioning ventricles to achieve a resting heart rate of less than 110 beats per minute. The good news about these guidelines: Less stress about absolute numbers. 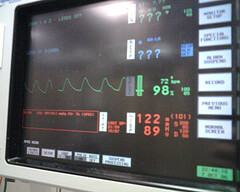 Dr. Anne Curtis of the University of Buffalo, a member of the writing group for the update, said in an interview that the study on which the heart rate recommendation was based was too small to show a significant difference in clinical outcomes for patients who were randomized to strict heart rate control vs. more lenient control. “Nevertheless, strict targeting of treatment to achieve an arbitrary heart rate seems unnecessary,” the writing group said in the document. Ideally, the news that they have a little less to be strict about will be a holiday gift for atrial fibrillation patients and their doctors. Researchers presented data at the the annual scientific sessions of the American Heart Association showing that screening high-sensitivity C-reactive protein was not useful in refining cardiovascular risk assessment beyond that provided by the classic risk factors. The data — from a new secondary analysis of the ASCOT (the Anglo-Scandinavian Cardiac Outcomes Trial) trial — throw into question the biomarker’s appropriate role in clinical practice. Our reporter Bruce Jancin was in Chicago and talked with Dr. Donald Lloyd-Jones, who was tasked with discussing the study’s findings at the meeting. Dr. Lloyd-Jones is a professor of preventive medicine at Northwestern University in Chicago. We have to remember that this is actually a secondary analysis — a post-hoc analysis — of a previously published trial. So we should take it with a grain of salt. You can read Bruce’s story online at Internal Medicine News, where you can read more coverage of the AHA meeting. Many of the biggest ooh’s and ah’s at this meeting were directed not at new blockbuster megatrial findings–those were in limited supply–but rather at groundbreaking study methodologies so dazzling even nonstatisticians were awed. It’s been a rare chance for the statisticians to take center stage and accept accolades for their work, the most extraordinary of which was hailed as “robust”–among the highest possible praise in the typically understated medical lexicon. A case in point drawn from interventional cardiology: A comparison of 3-year clinical outcomes of drug-eluting and bare metal stents in 262,700 (!) Medicare patients, far and away the largest-ever stent study. This behemoth, commissioned by the FDA and Agency for Healthcare Research and Quality, was accomplished by heroically linking the ACC’s National Cardiovascular Data Registry with the Medicare patient database. Most remarkably, the investigators sidestepped insurmountable confidentiality issues by tracking outcomes without any access to patient names or other individual identifiers. How did they do it? By coupling birthdates and other indirect identifiers with super-sophisticated clustering methods reliant upon inverse probability weighted estimators incorporating 102 covariates. Statistical bling was also in evidence on the surgical side, most notably in the 1,000-patient Surgical Treatment for Ischemic Heart Failure (STICH) study, the largest-ever randomized trial comparing two surgical strategies. Its partisans hope STICH’s clear findings will help convince surgeons to move beyond their traditional reliance on anecdotal evidence and case series into the modern era of comparative effectiveness research.